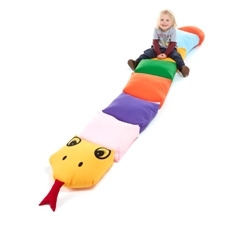 Sit n slither is a fun seating solution that can be used as one long seat or separated into 8 individual floor cushions. Made in two wipe clean colours it is durable. 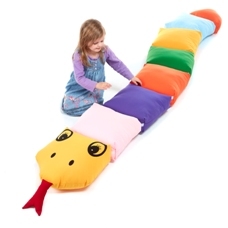 It separates easily into 8 fibre filled floor cushions that can be re attached with the velcro fastners to create one long snake. 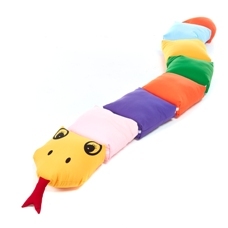 Perfect for pre school environments and soft play areas.